The problem with this approach is that just because you think your audience will love the topic, doesn’t mean you are right. So, in order to engage your audience, you need to figure what it is they are going to love. Here are 6 effective ways to get the right blog post ideas. Sometimes, in order to figure out what sort of content your audience might want, you don’t need to look any further than your own digital backyard. By this, we mean taking your most successful posts, and thoroughly analyzing them in order to figure out why they made such a big impact when compared to all your other posts. We recommend using BuzzSumo, which will help you identify the content which fared best among your audience, along with valuable information that will allow you to gain an insight into its success. We’ve used it on FWJ, and here’s what it was able to come up with. As you can see, BuzzSumo has provided us with a total number of shares on each of the social networks within a set time frame, domain, content type, language, and even country. One of the best and most effective shortcuts toward finding ideas for your next blog post would be to spy on your competition, especially if they are finding more success than you are at the moment. You can learn from their experience and use it to boost your traffic. 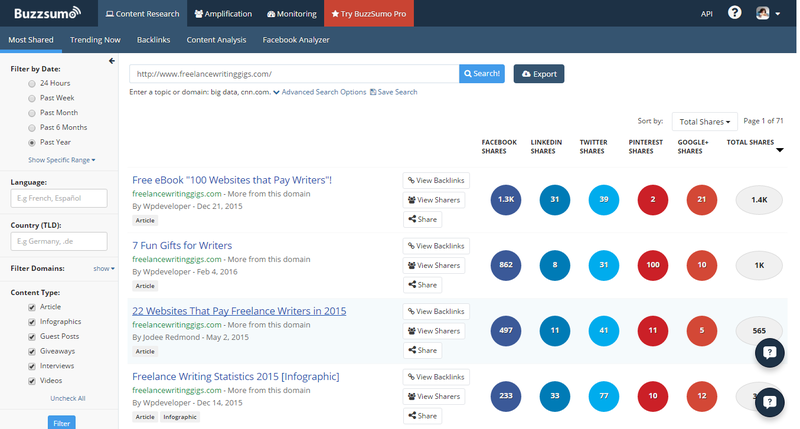 Again, the best way to identify the most successful content would be to use BuzzSumo. Yes, you can use it on your competitor’s blog, not just your own. This approach works because not only are they already in the same niche as you are, but because they address the same sort of readership. Use their work as a foundation which you can improve upon. Trim, expand, tweak, or change the things you don’t like and which you think could be better. Also, you can discover gaps in the market, a particular topic they haven’t been able to cover yet, and write about it, making them catch up with you for a change. Another huge factor the popularity of your blog posts hinges on are trends that are taking place inside your niche. Keeping your content up-to-date with current events and developments in the industry is crucial. 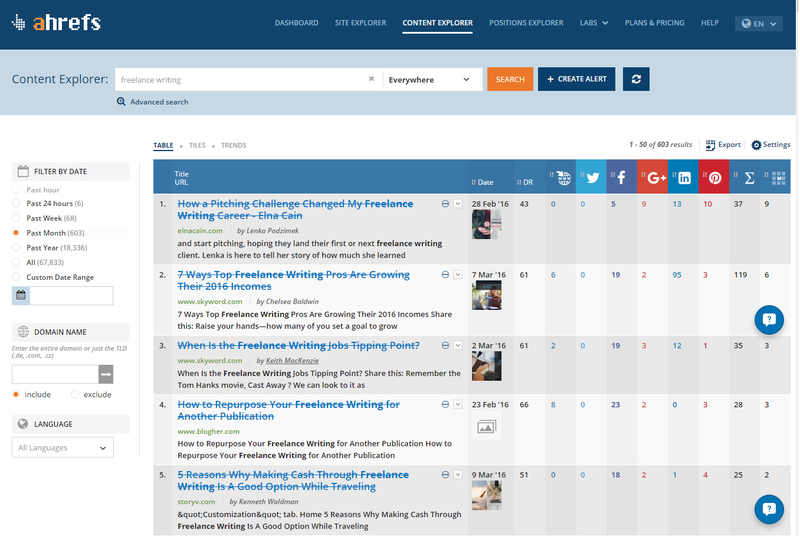 You can easily keep an eye on all trending topics and keywords with BuzzSumo and/or Ahrefs Content Explorer. Both allow you to analyze what has been trending in the past 24 hours, one month, or an entire year, depending on what you need. Since our niche is freelance writing, we used Ahrefs to tell us all about the latest trends in the industry. Influencer marketing is all the rage these days because influencers know what the audience wants, which means they are able to drive massive traffic to their blog(s). It’s exactly where you want to be, as well, so a good practice would be to check out what your industry influencers are doing. If you have trouble identifying them, or keeping track of the most influential ones, you can rely on tools like BuzzStream Discovery tool and Followerwonk to provide you with a relevant list of all the key influencers in your niche based on the keywords you have entered. The most obvious way might just be the best way at times, and asking your audience for your next blog topic is as simple as it gets. But, don’t be blunt about it and ask them about your next topic. Ask them about the issues they are having that are relevant to your niche, and address them in your next blog post. Also, a quiz or a survey not only provide an element of interactivity and a way to collect your reader’s thoughts, but they keep them hanging around your website for a bit longer. Breathing new life into your existing content can be a real goldmine of topics. This is especially useful if you have written some big pillar posts which are full of useful information, which can be broken down and repurposed through shorter blog posts, slide presentations, infographics, podcasts, videos, or any kind of media you are capable of creating and your audience is interested in. And it’s a two-way street. You can take your existing posts, do some additional research online, and create ultimate pillar posts on particular subjects that will lead you towards establishing yourself as a thought leader in your industry. 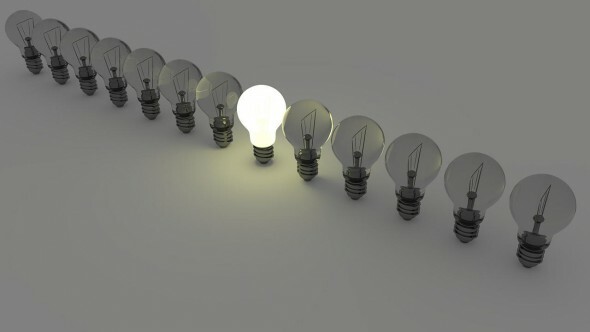 Follow these 6 effective tips and ensure that your well of blog ideas which are informative, relevant and desired by your audience never runs dry, no matter what. Not only will you be able to increase traffic by giving them what they want, but you will also be able to become more consistent as a result, which is yet another important piece of the puzzle when it comes to increasing your blog’s readership. Start putting it together today. This post was written by Antonio, a marketing specialist at dissertation writing service Edugeeksclub. He loves writing about SMM, marketing, education and productivity. He’s also crazy about riding his bike and bumping into new people (when he’s on foot). He will be happy to meet you on Facebook and Twitter.